Funbridge, your new bridge club to play wherever and whenever you like! Already over 400,000 players and more than 1,000,000 deals played every day. Funbridge enables you to play bridge games (“deals”) and rank yourself against hundreds of other players (as well as your friends). With Funbridge, no need to wait for other players to start playing a deal. Your game partner and opponents are robots (or “game engines”) and are the same at all tables. Therefore you play whenever you want! Since everybody plays the same deals (luck doesn’t play a part here), you can easily compare your bidding, card play and results with other players. 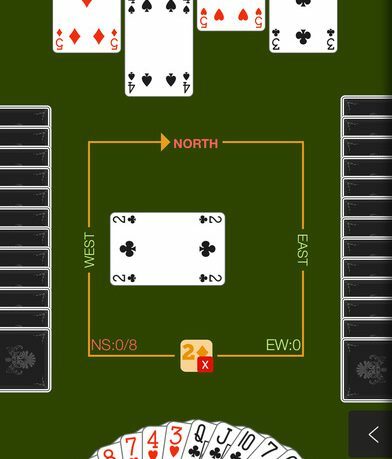 What makes the difference is that you can watch a replay of any other player’s moves, making Funbridge the ideal tool to progress. Start in the New series and enter one of the series available, from Series 11 (i.e. the lowest one) to the Elite series (i.e. the highest one). This is a good way to compare yourself to players of your level. Every day take part in a 20 deals tournament lasting 24 hours and gathering thousands of players of all levels. Pit yourself and be judged fairly against the players from the Elite series, the best Funbridge players, and analyse their play. Challenge your friends or any other player on 5 deals. May the best player win! Practise with your favourite partner on unlimited deals. Set the parameters of the deals yourself for a more targeted practice. When starting out, FunBridge requires an account to play. You can choose to sign-up through their site in the app or sign-in with an existing Facebook account. A bidding system must then be selected as well as a player level of either beginner, intermediate or competition. Options to play are now displayed with Play a Tournament, Practice or Challenge a Player. I recommend practicing first to get the hang of how the game is played before proceeding into the tournaments. Tournaments include Series Tournaments, Tournaments of the Day, Team Championship, and Federation Tournaments. Be pit against other players singularly or in a team to see where you stand. Set your bidding and play conventions with IMP and MP scoring systems. The app allows you to pause and resume tournaments as you like and chat with friends as well. Having never played Bridge myself, playing FunBridge was a learning experience for me. At first it was a bit overwhelming, but going to the help menu with the rules and the practice tables, it made it easier to play. After practice it was on to the tournaments where I was definitely rusty but was able to get the hang of it. The playing action is very interesting as there is AI playing Bridge with you, which also gets better as you play. The more you play the more you improve your skills. Though I am just a beginner, the menus are easy to navigate and the app performed smoothly with no issues with crashing or performance. 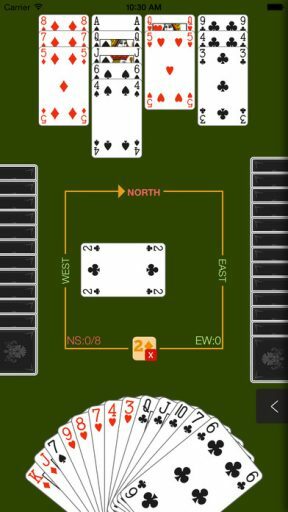 FunBridge – Your Bridge Club is perfect for the extreme Bridge lovers out there offering multiple ways to play on the go, with or without others. The app is available now for free in the App Store.